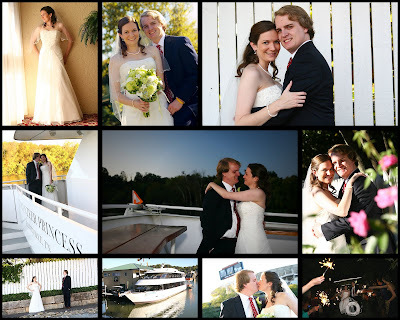 Whitney and Jayson had their "first seeing" each other at The Marriott in downtown Knoxville where Whitney got ready, then off to The Blount Mansion for a few quick photos before getting on the luxury Volunteer Princess Cruises Yacht for their wedding and reception. Considering that Whitney planned all of this from out of town I was super surprised to find out that the grooms family lives right down the road from me! Small world - the wedding was beautiful and we couldn't have asked for a nicer day!